When will be Demolition Man next episode air date? Is Demolition Man renewed or cancelled? Where to countdown Demolition Man air dates? Is Demolition Man worth watching? 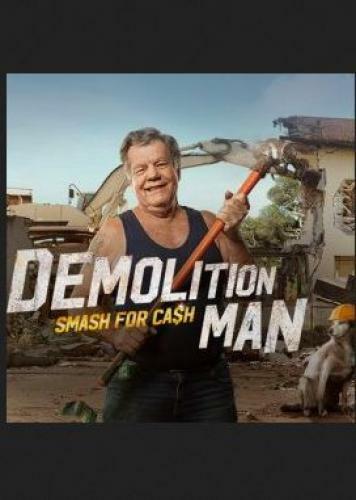 Join the Demolition Man Lawrie and his crew of misfits, as they crash and bash everything from heritage properties to industrial warehouses for cash. Don't be fooled, Lawrie's not just a demolition man; he's also a treasure hunter. He salvages stuff that would otherwise end up at the tip, finding rare items which he's accumulated into one of the world's best collections, worth millions. From vintage cars to buckets of old roofing screws, Lawrie has found it all. What he finds he drags back to his shop to sell, and he knows how to sell it for a quid. When his former junkyard mate decides to end their twenty-year feud and start speaking to Lawrie again, the Demo Man seizes the opportunity to buy some stuff from the old timer. Lawrie's got his eye on some choice bluestone. But going through the mountains of junk, Lawrie spies something that he wants even more and won't take no for an answer. Today Lawrie's off-loading one of his ancient steam traction engines to an interstate collector. It's 120 years old and hasn't budged for decades. But with Lawrie's trusty right-hand men, Jabba, Benny and son Charlie on the job, it could go either way. Lawrie Voutier hates waste – especially when he can make a buck out of it at his shop. So when the Demo Man hears about some stables that need to be demolished in Geelong, he's keen to salvage first. But as the demo takes place and the roof comes off, what exactly is holding the wall up? Not much as it turns out. Lawrie's ideal family outing is a road trip to an auction. So packing up the family and taking them to a Ballarat auction house, the Demo Man has his eyes on several items. But wife Sue only wants one. Demolition Man next episode air date provides TVMaze for you. EpisoDate.com is your TV show guide to Countdown Demolition Man Episode Air Dates and to stay in touch with Demolition Man next episode Air Date and your others favorite TV Shows. Add the shows you like to a "Watchlist" and let the site take it from there.